We had been expecting this… honestly, yes. Hortonworks, a Yahoo spin-off for Hadoop, has made the headlines again. So while Marissa Mayer was busy revealing a new version of Yahoo.com home page in a purple Facebook avatar, the erudite guys at Hortonworks revealed the open source Apache Hadoop immediate roadmap. 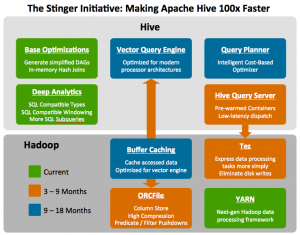 Stinger seems to be a strategic move to keep Hive as the central interface for Hadoop querying. 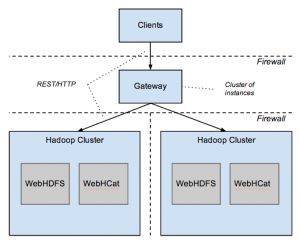 Just this week, hadoopsphere.com published a post citing HCatalog could become partof Hive project. With Stinger, the company plans to make use of community driven contributions to add more SQL like querying clause to HQL (Hive Query language). Also, it claims to have achieved 90% reduction in Hive query result time. 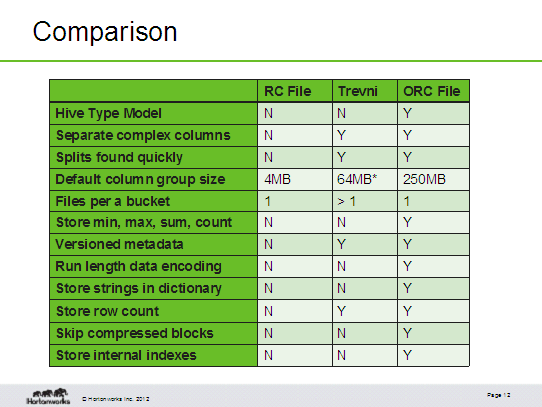 Another significant addition is the introduction of ORCFile in direct competition to Trevni and to tide over RC File format limitations. Tez framework described in next paragraph also constitutes part of Stinger initiative. Future additions include Buffer Caching, Vector Querying engine and Query Planner. Tez apparently throws a challenge to Cloudera Impala. Currently, proposed as an Apache incubator project with seed work already done, the project already has 22 committers which tells us something about the exciting race here. 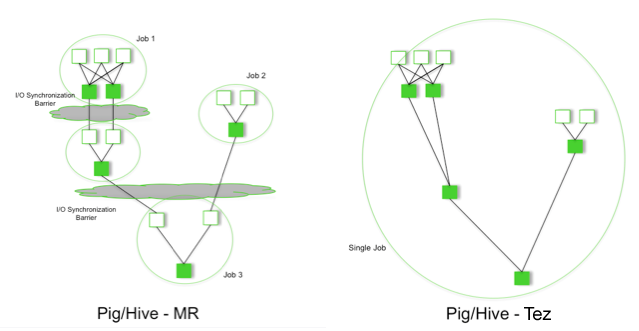 Tez aims to optimize the latency by running the query in a single job rather than multiple MapReduce jobs. Further it aims to leverage YARN to share data processing primitives across Apache Pig, Apache Hive, Cascading and others. Knox is the other significant project which has been proposed for Apache incubation. Since security is one of the key focus areas, it “provides a single point of authentication and access for Apache Hadoop services in a cluster”. Earlier, hadoopsphere.com had proposed comprehensive security architecture forApache Hadoop cluster which could be implemented with custom built utilities or custom off the shelf tools. Knox fills in the vital authentication layer of the security architecture instead of just relying on Kerberos. However, it still needs to do a bit of work on cloud integration and web interface for the Hadoop cluster. Overall, Hortonworks has shown its commitment to open source once again and driving upon the fact that community based contributions can be innovative, exciting and ‘tez’ (fast). 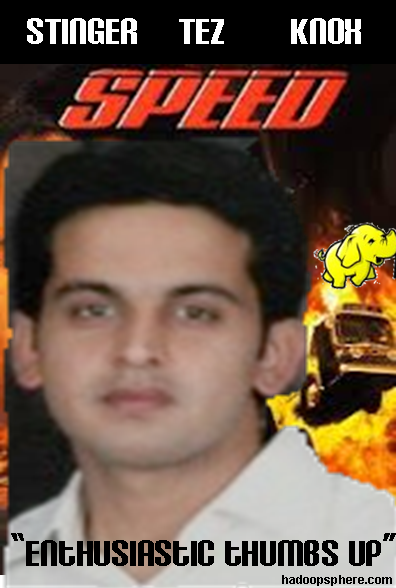 ps: Arun Murthy/folks at Hortonworks, please excuse the discretion of using Arun’s image in Speed movie look-alike poster. And of course, kudos to many more heroes in the team.